All car, truck, and suv owners want to get as many miles out of their vehicles as they can or best trade-in value. 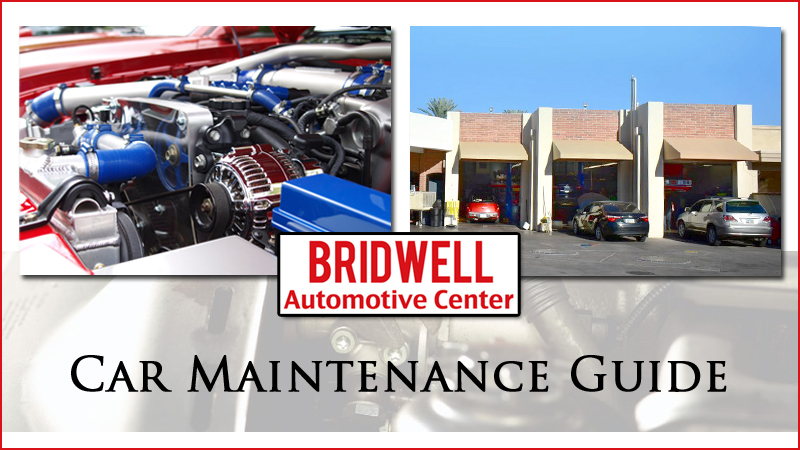 This car maintenance guide will help you care for your vehicle to ensure you maintain as much value and keep it going as long as possible! As the saying, prevention is better than cure’ suggests, the simplest thing that can be done to prevent unnecessary failures and break downs is to regularly maintain your vehicle; regular maintenance will not only save you a lot of money on major repairs but also undue hassle at inopportune times. Every car owners knows preventive maintenance is necessary, but not everyone knows or agrees on what counts as preventive maintenance and how frequently it should be done. This is what we’re going to outline here, as well as share some handy tips to keep your vehicle happy and running smoothly. If you’re a new car owner it’s understandable if you don’t appreciate the importance of preventive maintenance yet, but as any mechanic, seasoned car owner or someone unfortunate enough to have spent a fortune on repairs would tell you, ignore it at your own risk. Basic maintenance, like regular oil change, and tire pressure and other inspections don’t cost a lot of time and money but is as important as going to the doctor for regular checkup; it allows auto mechanics to diagnose serious issues before they escalate and damage your vehicle. Replacing damaged parts costs significantly more than regular maintenance would. Owner’s Manuals are meant to be ignored, right? You buy something, and you’d rather mess around with it, open it up and figure it out yourself than spend valuable time sifting through a boring manual. This isn’t always a good idea, especially when the health of your vehicle may be as stake by you not knowing everything there is to know about it. Going through the owner’s manual is important as that’s where you’ll find your vehicle’s maintenance schedule. Reading what the manufacturer has to say about the car’s maintenance will also help you avoid common circulating myths like ‘cars need oil change every 3000 miles’. If the owner’s manual says your car needs an oil change every 300 miles then it does need it, otherwise the manual will suggest when exactly you should be changing it, based on your car’s make and model, and the filters being used inside it. The owner’s manual will also suggest what kind of gas you should be filling and what oil will be best suited for use with your car. If you’ve misplaced your car’s user manual, you might be able to find a soft-copy online. It’s very very important to go through the manual and that stands true for any machinery or household appliance, especially those that could end up costing you a lot of money if not properly used. Car lovers know the importance of this, but a car’s manual isn’t only for those with an interest of knowing how their car works, but for everyone that’s using the car on a regular basis. For instance, if you use a different oil than what the manual suggests or fill in low quality fuel in a car that demands high quality fuel you may end up voiding your car’s warranty or cause major damage that may cost you more than what you saved using the cheaper fuel. Inspect the car yourself to see if anything seems wrong. If you’re a new car owner, this may seem like a daunting task, but your owner’s manual should be enough to walk you through it. This will include checking your car’s lights, both front and back, checking air pressure in the tires at least once a month, listening for sounds that seems alarming or out of the ordinary, and making sure the tires have sufficient tread. Insufficient air pressure in tires will take away from your car’s mileage, costing you more in fuel, so it’s a good idea to purchase an air pressure gauge for tire air pressure. The tread can be tested by using a penny, or by looking out for wear indicators on tire treads. If your checks highlight any issues, even those that may seem small and insignificant right now, act on fixing them rather than putting them off for later. Check the car’s fluids learn if you don’t know how as checking brake fluid, antifreeze, coolant, and wiper fluid levels is simple to do in most cars. Even replacing these fluids is simple and you shouldn’t have to pay someone to do it if you know how. Some fluid levels like that of the brake fluid and the coolant are easily visible from outside the container while others will have a dipstick you can lift up to check the quality and quantity of the fluid inside. Most cars will have these containers marked with their respective symbols and it isn’t difficult to figure out which is which even if your car’s user manual fails to point them out. There are also a number of video tutorials and step-by-step guides on how to check fluid levels and refill fluid containers when fluids are below the required level. Keep an eye out for unnecessary drips to ensure there are no leaks in any of the containers. Regularly examine or have the car’s timing belt and serpentine belt examined and have them replaced when required. Some auto mechanics will advise you to have the time belt changed every 60,000 miles and have the serpentine belt changed every 40,000 miles; these are rough estimates that don’t work for every car, the user’s manual will guide you better as to when these belts should be replaced. Looking around online for your car-specific recommendation may also be a good idea in case the user manual is unavailable. Doing a quick check on the belts every now and then doesn’t cost anything, have them replaced if the check reveals they’re worn out as your car will break down if they break. Broken belts may also damage other components increasing the cost of repairs. Regularly check and replace engine oil as it is an essential part of preventive maintenance and is fairly easy to do. Most cars have dipstick that can be taken out to check the quality of the oil and the level. Some modern cars have an electronic gauge for this purpose which makes checking the oil level even easier. You will still need to manually assess the quality of oil, whether it’s clean, or murky. Determining when the oil is muddy enough to require a replacement will save you from having it changed when it could go on a bit longer. Checking the quality of oil will also highlight if there are any problems in the engine; if you just had the oil replaced and it looks terrible, for instance, there’s something wrong with the engine that require the mechanic’s attention. The user manual will give your car-specific recommendations on what mileage to change the engine oil on. Check battery and clean battery contacts, if required. Modern car batteries don’t need much maintenance but it’s still important to know where they are and check them now and again for leaks and mineral buildups on contacts. Any buildups should be scraped off with a battery cleaning brush which shouldn’t cost you more than a few dollars to purchase at any auto parts store. It’s also a good idea to keep an inexpensive battery tester and jump starter kit handy in case the battery dies at the wrong time, leaving you stranded on the side of the road waiting on AAA to come and jumpstart your car. Windshield wipers need replacing too, especially if they’re falling short of doing what they’re supposed to do. If you notice the wipers aren’t leaving the view clear for you, have them replaced, as they’re fairly inexpensive and shouldn’t be allowed to compensate your visibility. If the visibility isn’t optimal, clean the windshield inside and out, don’t wait for the visibility to deteriorate further before you pick up a cleaning wipe. Regularly clean the cabin air filter, replace when required. A clean filter will ensure the airflow in your car is comfortable and free of dust particles, and accessing it is as simple as opening a box. Most cars have it under the dashboard on the passenger-side. If you clean the air filter regularly it won’t need changing as often as it would if left uncleaned for a long period of time. An unclean air filter won’t affect the running of your car, but it may affect your health as you’re breathing in unclean air. Air filters can be easily purchased from any auto parts store and tutorials can be found online on how to easily access the air filter compartment in your car. Regularly clean the engine air filter, replaced when required. This will be under the hood and may be difficult to reach in some older vehicles if you don’t know where to look, but having it cleaned regularly and replaced when necessary is important. Like with other things, the car’s user manual is the place to check at what mileage you should replace the engine air filter. This will be an estimate as how quickly or slowly the engine air filter gets dirty will depend on the driving conditions and the condition of the area where you drive most. For instance, on longer drives or in dusty areas, the air filter will clog up quicker than normal. Check tire alignment; rotate and balance as required. Balancing and rotating your car’s tires ensures that they wear evenly and give better mileage. Balancing and rotating the tires will also increase their lifespan, saving you money on frequent and costly tire replacements. Once again, refer to the user manual to see how often this needs to be done. Aligning the tires is equally important as aligned tires ensure it takes less effort to keep the car straight. Replace worn out spark plugs or those caked with buildup as they hinder the engine’s efficiency, consuming more fuel and can also lead to breakdowns. It’s a fairly simple task to do in most vehicles while it may take more effort in some. Either way, checking the spark plugs and having them replaced if required is important. Refer to the user manual to see how often they need to be replaced. These are the primary checks each preventive maintenance must involve and almost all of them can be carried out with little effort without the help of an auto mechanic. Video tutorials are available online in abundance demonstrating how these simple checks and replacements can be carried out, and your car’s user manual will be able to give you car-specific recommendations on replacement intervals, what to use, and what to avoid. It’s very important that you go through the user manual and refer to it as often as you can for the best possible maintenance guideline for your vehicle. User manuals for common makes and models of cars are easily available online, the manufacturer’s website is the best place to find the user manual for your car. In case it isn’t available on the manufacturer’s website, many manuals for a number of vehicle makes and models are available online. We are nearing the end of the second decade of the 21st century, after all, and technology has come a long way in the past 18 years. It’s changing the way we love our lives and carry out simple tasks and giving us conveniences, we didn’t even think we needed before we had them. Keep receipts of the work you’ve had done on your vehicle, so you know when the next maintenance visit is due. Scan the receipts and save them on the cloud for easy access wherever you are; you no longer need to keep hardcopies around and wrack your brains to remember where you kept them every time you need them. AutoCare (iOS/Android): Paid app to track mileage, maintenance and repair history, maintenance expenses and other information to help efficiently maintain your vehicle. It also allows you to set reminders to get specific things done so you don’t forget. The iOS version costs $4 on the Apple App Store and the Android version costs $2 on Google Play and the Amazon App Store. Road Trip (iOS): Road Trip is well liked and has plenty of good reviews on the App Store. You can use it to track fuel refills, mileage, maintenance receipts and expenses, as well as set reminders for repairs and replacements you need to get done. There’s also an option to track tire wear during different seasons and supports multiple vehicle profiles at the same time. There are two versions available on the App Store, a free Lite version with limited functionality and a paid version costing $5. App ownership doesn’t carry over to other platforms so make sure you buy it on the iPad if you’re going to use it on the iPad and on the iPhone if you’re going to use it on the phone. Car Minder Plus (iOS): Offers maintenance logs to track the work you’ve had done on the vehicle, and options for air and oil filters, oil changes and belt replacement. The App costs $3 on the App Store. Car Maintenance Reminder (Android): Two versions of this app are available on Android. The free version tracks mileage, maintenance costs and schedules and other information for one vehicle while the Pro version costing $3 tracks all this information for multiple vehicles. Both apps allow settings reminders for upcoming maintenance works and repairs. aCar (Android): aCar is very popular among Android users and comes as a free or paid app. Both apps offer basic tracking, maintenance and reminders with the Pro app adding multiple languages, widgets for the home screen, and connectivity features to link the app to other apps and websites. The Pro versions costs $6. 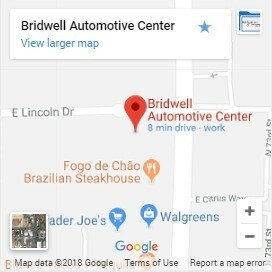 If you want to ensure your car maintenance is done on time and done right, Bridwell Automotive Center’s Scottsdale location is convenient, affordable, and ASE Certified. Although a lot of regular maintenance can be done on your own with help from the user manual and online tutorials, some maintenance needs to be carried out by the experts, and it’s this maintenance that you may often be tempted to put off. Don’t do that. Putting off preventive maintenance and failing to attend to small issues with inexpensive fixes can result in bigger issues that will cost you more time and money. Transmission Problems, Solutions and Repair Costs 2018 Why Are My Brakes Squealing?